Question to those picking these up. Are the question mark blocks and the treasure chest just cardboard and part of the packaging covering up/hiding the "mystery" accessories? I can speak for the Link one. It was a cardboard box taped shut on top with the shield inside. I went out looking for that Bowser today and ended up with Yoshi instead. Looks decent next to Figuarts Mario but not the best. I saw the Mario too and I have to say that it looks real good, I didn't pick it up cause I think the colors are to dark. ^ can Mario ride the yoshi? I picked up a link today and he is awesome, way more articulation than I thought and a great sculpt. I wouldn't mind a red and blue variant outfit. The only other one I saw was mario, and that was after checking 4 targets. These things went fast! Man I don't get paid until next Saturday, hopefully I can find a Link then. Just got back from Target. They only had Mario and Yoshi, so I left with Mario. 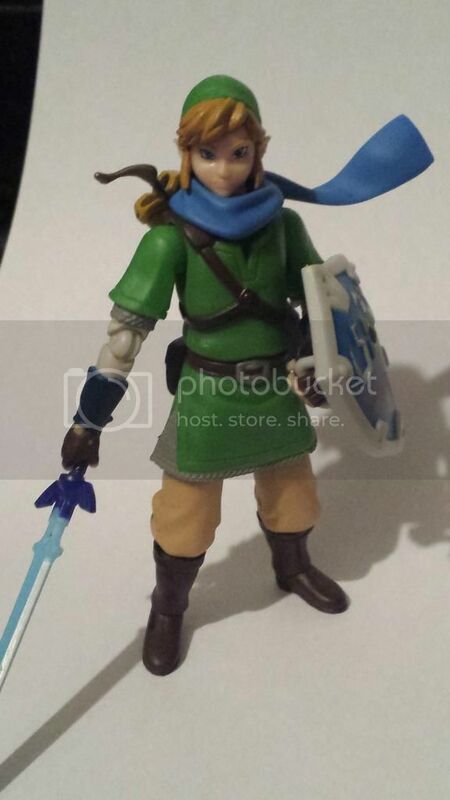 Was kind of disappointed that there was no waist swivel after hearing how good Link turned out. Easily could have cut that in there. Aw, having it as an actual chest would've been neat. Ah well. Good thing about this scale is you can easily find and actual scale chest if you want one. Same goes for giving Link a horse and bow. Figuarts Mario feels much less fragile and more solid that Mega Man. I'd rather have the ultra-accurate sculpts and better articulation of the high-end figures. Well 4 Targets and a TRU and no luck finding anything. One of the Targets was doing a reset and anything but helpful. Last edited by Specter; 08-07-2014 at 11:27 AM..
Don't despair man,found a case (3xYoshi 2xMario 1xLink) at one of the two Targets I go to,the one that had done the reset for the aisles,had the case,the one that hadn't done the reset,didn't even have the tags up.I have a feeling these won't be very hard to get. Why did they have to shortpack Link in place of another Yoshi? Lame. 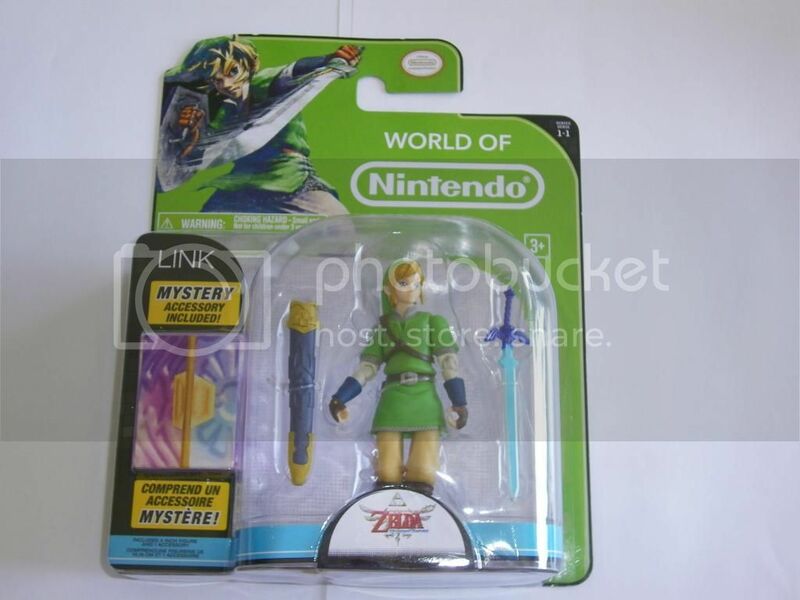 Link is the one I want the most. I really hope so, though my local stores are terrible at stocking and when they actually do I have to deal with two terrible scalpers who will buy up anything of interest(even Hot Wheels). So for people that found them, were they put out as part of the reset or a short while later(like the next truck)? Last edited by Specter; 08-07-2014 at 11:42 AM.. I saw them being put up as part of the new Target setup at multiple stores.. Looked to be only 1 case of 6 per store. 1 Link per case. Restock will be dependent on how the first case sells. They check stock once or twice a month at Target. If you see one of those grey dots on the price tag, that means more are being ordered. If there are any on the shelf when they are checked then they most likely will not order any more until what is on the shelf is sold. Went back to my local Target which was reseting earlier today, had everything but the 4" figures. anyone know what days Target gets trucks in? Last edited by Specter; 08-07-2014 at 01:48 PM.. If that's true then I may have to give Mario a chance. He definitely comes with better accessories, and he fits with these figures to boot. I think I remember someone saying you can find them at Barnes and Noble, is that right? Last edited by Specter; 08-08-2014 at 12:11 PM..
Got Mario and Yoshi today. Mario's shoulder was stuck and broke. 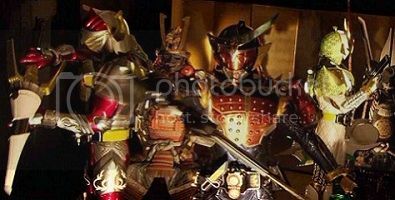 Looks like I'll stick with Figuarts. Was in Target Saturday and there was no sign of these. The tags were there so I don't know if they just sold them all or hadn't put them out yet. I hit 2 of my local Targets this past weekend and saw Mario and Yoshi. Had 3 Mario's and 2 Yoshi's at each store. Link was gone from both stores. It figures they short pack the figure I want the most. I saw these at Target today and had no idea they existed. They had a 4' Mario. Man I Want that Link! I still have my Ocarina of Time one I left however with a 2.5' Diddy because I love DKC. Any of you guys have experience with Jakks? just wondering how they are with getting future waves going. Went to a close Target this morning and all they had was Yoshi. After work I went to a Target 5 miles out that I always have luck with. Sure enough they had some of these in the back. I asked an associate to bring them out if possible. I told them I wanted Link. Sure enough the lady came back with one! They already had a 2 Marios and 2 Yoshis on the pegs.